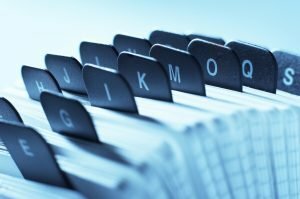 USA-Probate.com provides various probate resources. Peruse our website and you will discover a realm of information about several probate attorneys, including a probate attorney directory, general probate information, including an overview of what probate is and a description of the probate process, probate planning tips, and more. Assuring security for your future and the future of your loved ones is imperative. Probate planning can help accomplish this security. 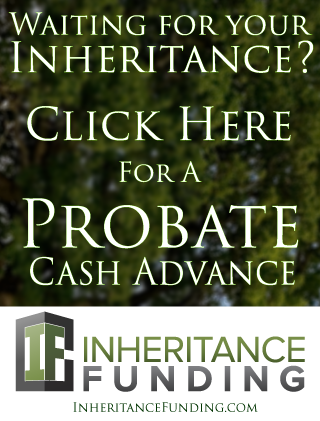 While avoiding probate is advantageous, is it difficult to do. Experiencing probate at some point in one’s life is incredibly common. Whether anticipating probate or not, individuals should arrange for the proper transfer of their assets to specified individuals and for the appropriate disposal of any financial obligations. A variety of documents make available such arrangements. Wills, trusts, beneficiary designations, and advance directives are examples of these documents. Whether you are currently involved in probate, you anticipate being involved in the probate process in the near future, or you would like to do a little probate planning for when you pass away, you should contact a probate attorney. The probate process is often misunderstood and can be very complicated and confusing as well as costly and time-consuming. Contacting a probate attorney will help you better understand the probate process and may help relieve you of a heavy burden depending on the circumstances of your involvement during the probate process. You can review our probate attorney directory to gather information about different attorneys throughout the United States. Probate law is state specific, so you should contact attorneys within the state, particularly the county, an anticipated probate will take place. When searching for a probate attorney, or any attorney for that matter, it is recommended that you prepare a list of several attorneys that potentially suit your needs and meet with each of them. Gather biographical information from our directory, each attorney’s individual website, the respective state bar website, etc. This will allow you to get a feel for how each attorney works, get varying information specific to your case, compare prices, and ultimately find an ideal probate attorney that you will be comfortable working with throughout the probate process. Probate attorneys should have a vast understanding of the probate process. Some probate attorneys exclusively handle the administrative, or transactional, aspects of probate. Other probate attorneys handle the litigation aspect. Many probate lawyers provide services on both the administrative side and the litigation side. In our probate attorney directory, you will find attorneys from each end of the spectrum and attorneys in between. Additionally, knowledge of other fields of law can be extremely helpful. Various other fields of law frequently come into play during probate since there are several types of law that are related to the probate process or may affect the probate process. For example, real property law may be involved. This is particularly true if the person who died (the decedent) had extensive or complicated real estate assets. You may be wondering what tasks and responsibilities probate attorneys have. In general, probate lawyers handle the legal process during which a will is validated or invalidated, or if there is no will, the process during which the probate court determines intestate succession (who the decedent’s estate will go to according to state law). In order to accomplish the tasks required of them, probate attorneys generally ask to see several private documents and will ask a variety of questions to gather necessary information. The personal documents attorneys may seek consist of copies of the decedent’s will, trust, deeds to real property, insurance policies, and trust agreements. It is a good idea to have these documents and other relevant items ready for your probate attorney to review. More specific examples of responsibilities probate attorneys have during the probate process include simplifying the complex probate process and helping with the significant legal responsibilities placed upon executors and trustees. Probate attorneys settle the decedent’s final affairs, settle debts and claims against the estate, and assist in the transfer of ownership of assets. Additionally, probate lawyers may defend a person’s right to an inheritance, argue for a larger share of an inheritance, or fight to protect the interests of the estate. During probate, the decedent’s assets are inventoried, all debts, creditor claims, and taxes are paid, the heirs are determined, and the remaining assets are distributed appropriately. Probate attorneys can be involved during any and all of these phases of the probate process.